For the last few weeks construction work in the city has been going on like there's no tomorrow, and now with the start of the football world cup being only days away it's like the entire city has suddenly switched over from building-mode to cleaning-mode, making itself ready for our international guests to arrive. 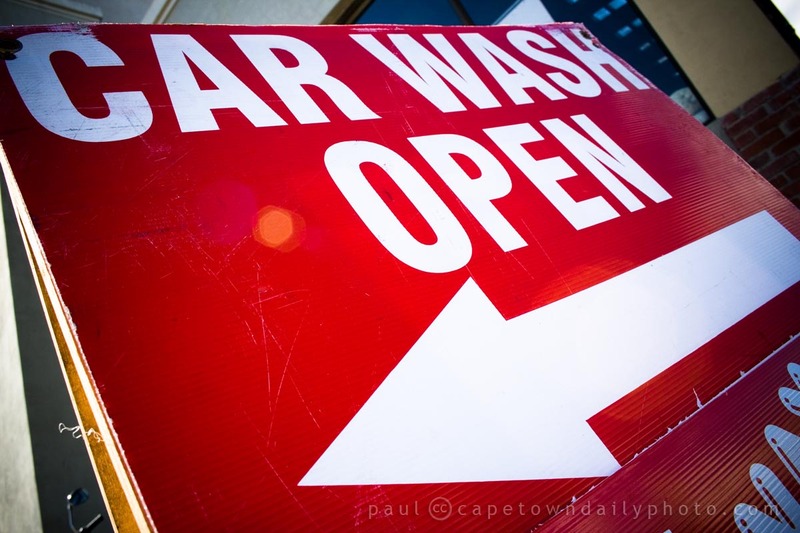 We've seen huge road-cleaning machines sweeping gutters, workmen sweeping down pavements (side-walks), and structures getting a fresh coat of paint. Banners are going up, flags are flying, and excitement is brewing. Get ready South Africa, get ready Cape Town, our guests are about to arrive! Posted in General and tagged 2010 world cup on Wednesday, 2 June, 2010 by Paul. Oh my word it’s getting close now isn’t it and it’s good to know the city will be all shiny and sparkling for the visitors!! Will be thinking of you all, and hopefully enjoying the football (via TV). Its 2 years now since my daughter and family moved back here to the UK from Cape Town, and I miss my annual visits!so I love seeing your photos. She stayed in Durbanville, and before that Pinelands. Thanks Anne, I’m sure we will enjoy it!